Created Illusions has painted stunning custom interior and exterior murals for restaurants, churches and other business across the United States for over 20 years. When you're looking for a team of trusted painters to complete your residential or commercial painting project, you can't find a better team than the one at D & B Painting in Cincinnati. We have over 15 years of experience, and we're standing by to help you with all of your colorful projects. From exteriors to interiors, there is no job too big or too small for our team. When you choose our company to work on your projects, you're choosing the area's full-service painting company with over 15 years of experience in the area. We take pride in our work, and we are fully licensed and insured. We serve Cincinnati and the tri-state areas of Ohio, Kentucky, and Indiana. You won't be disappointed in the quality of our work. Justin Michel with Just-N-Time painting has painted over a hundred houses a year, but the one we're most excited about painting is the one we're painting today. Your home could be that home. Know what you want? Great. We love to execute on a homeowner's vision. Not sure whether to go mild or wild? That's where our consultative approach and vast experience shines. We'll come up with a concept that you'll love, and then we'll make it happen. Hayes Painting and Remodeling was founded by Garrett Hayes and established in 2004. Garrett has been servicing the Cincinnati area for over seven years. His skills in interior and exterior painting, basement remodeling, tile installation, carpentry and deck staining have been acquired naturally but have been promoted by years of experience and an unwavering desire to succeed. Growing up in a family of creative minds and business owners, Garrett was raised knowing the importance of a great work ethic. Mr. Hayes expertise in the industry started at just 5 years old when he began helping his grandmother, Sherry Masters, owner of The Masters Touch, create murals and faux finishes on walls across the country. In addition to his grandmother, Garrett’s father and uncle were two of his major influences. Garrett’s father is the owner of a Hayes Productions, a full-service graphic design, video production and recording studio, and his uncle was a fine finish carpenter. 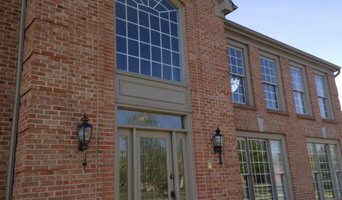 Quality exterior and interior painting, residential and commercial are our specialty. We value customer service and strive for an excellent experience with every job. With Five Star Painting, we want to give you Five Star treatment every time we work with you. We are fully insured, manage every job and communicate frequently with our customers to ensure they are kept in the loop. We also offer free color consults with interior designers as a service to our customers. You may have noticed that most painting contractors, or any contractors for that matter, take a transactional approach to sales—identifying clients, closing the deal, cranking out a job and then moving on to the next one. You don’t hear from them again… unless maybe they’ve come back to ask for more work. I choose not to work that way because I believe you deserve more from the professional you decide to work with. That is why I work by referral. Since my primary source of new business is referrals from people who know and trust me, I dedicate myself fully to the activities that benefit you most, and strive to deliver truly exceptional service. 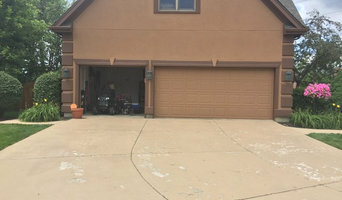 Lucky 7 Painting will provide the utmost in quality workmanship from beginning to end by means of integrity and trust along the way to complete the job to the satisfaction of our clients. We are a Full Service, High Quality, Professional Painting company. We offer outstanding customer satisfaction and take pride in being the best at what we do. We are clean, thorough and DEPENDABLE, which makes your business with our company an enjoyable and satisfying experience. We take pride in taking the "pain" out of painting for our customers. Paint and wall covering contractors are experts in the specs, application and removal of paint, wallpaper and other wall coverings. They can help you choose the paint color and finish, wallpaper style or specialty covering that best suits the needs of your Bellbrook, OH home, whether the job is for the interior or exterior. In addition, they can strip off old paint or paper and prepare surfaces through sanding, skim coating and other processes. Many can handle decorative paint treatments and materials such as plaster. 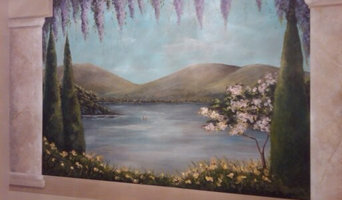 A paint and wall covering contractor might work closely with Bellbrook, OH interior designers, builders and others, too. Here are some related professionals and vendors to complement the work of paint & wall covering dealers: Interior Designers & Decorators, Artists & Artisans, Window Treatments, Carpet Dealers. Find a paint and wall covering contractor on Houzz. 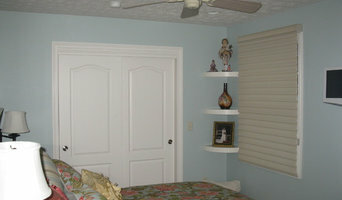 Narrow your search in the Professionals section of the website to Bellbrook, OH paint and wall coverings. You can also look through Bellbrook, OH photos to find examples of paint jobs and wall coverings that you like, then contact the professional who worked on them.